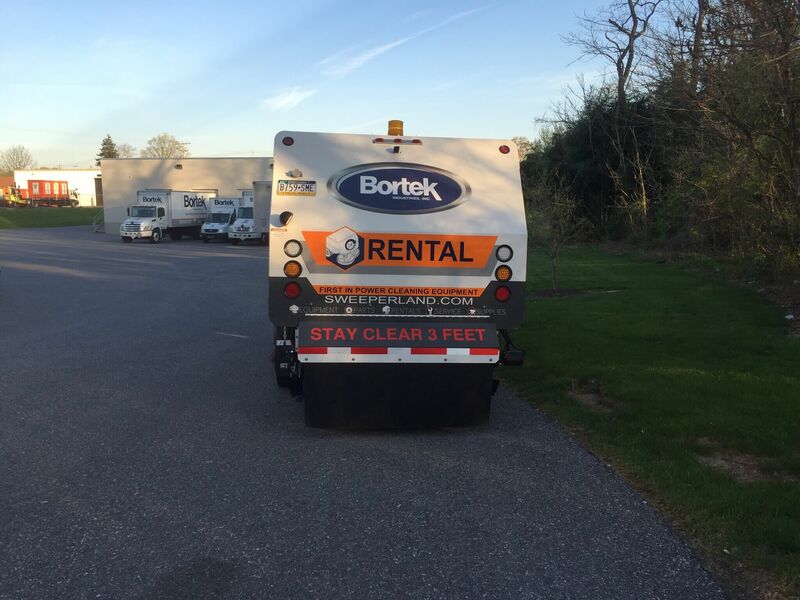 Stewart-Amos Starfire S-4 Street Sweeper Rental - Bortek Industries, Inc. 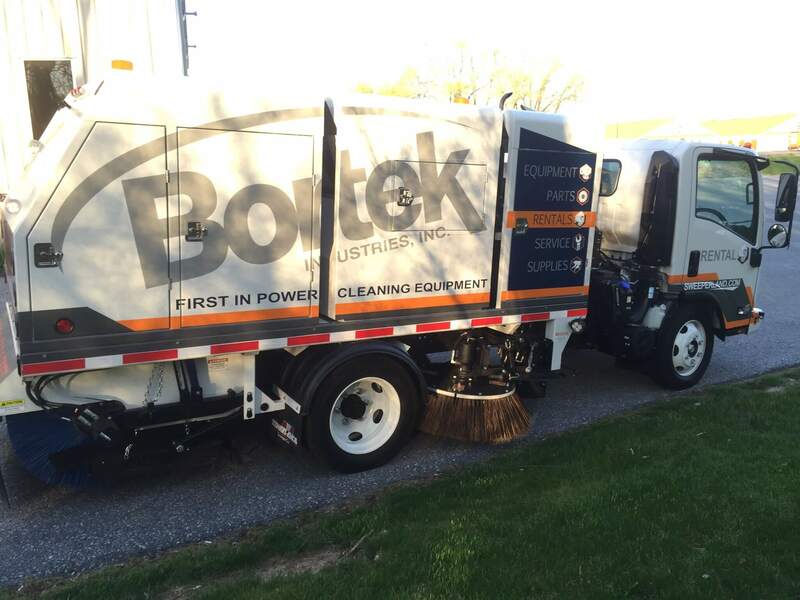 Introducing Stewart-Amos Sweeper Co.’s new “Starfire S-4”. 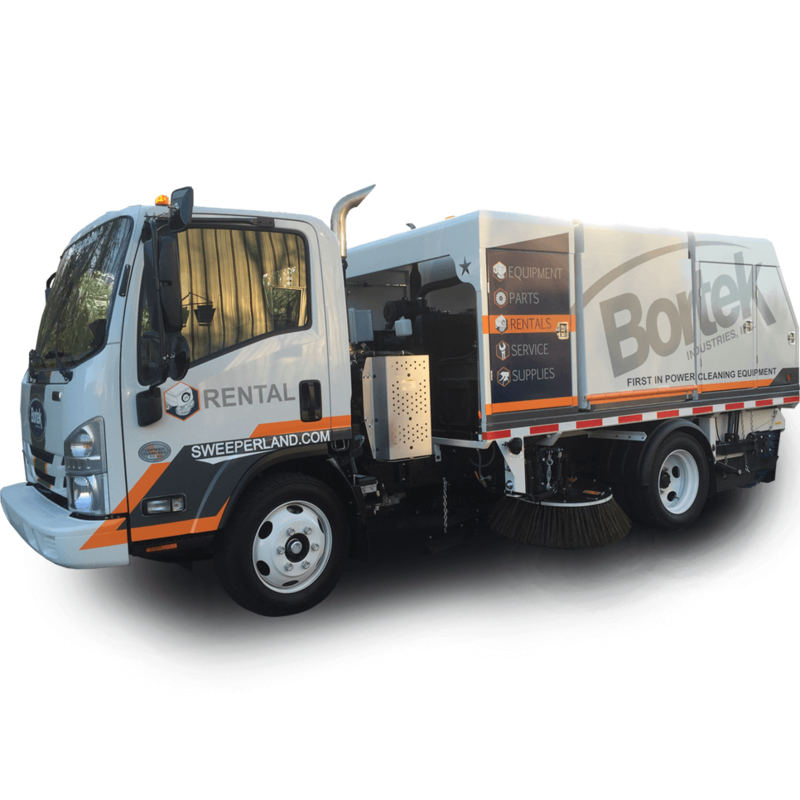 The S-4 is a four wheel, dual engine, mechanical broom street sweeper that has a compact design, but is as productive as other sweepers mounted on larger trucks. 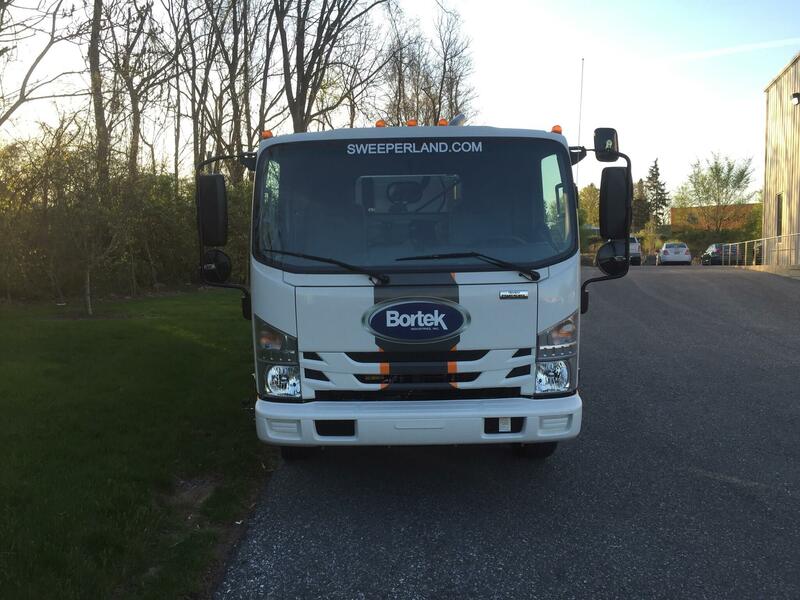 The short wheelbase chassis combines tight maneuverability like a 3-wheel sweeper, yet is still capable of traveling at highway speeds between job sites. The Starfire S-4 has an impressive list of features that improve productivity, safety and performance. The S-4’s smart design provides a big sweeper in relation to the truck’s small frame and a system that’s effective on chip seal and milling operations, as well as heavy spring clean-ups. It’s very maneuverable, and it provides a tight turn radius that can handle traffic and cul-de-sacs. The superior driver visibility makes the job-site safer, while the 3rd elevator idler shaft helps the Starfire sweep better, last longer and require less maintenance. Stewart-Amos’ Starfire provides dust-free sweeping, and it allows operators to focus its cleaning power with three separate dust control points. The “Eyes Forward” color camera safety system comes as standard equipment, making the Isuzu manufactured cab a safer and more productive place for your operator.